Doing business is a tricky matter. Usually two sides, both with an interest in getting as much as possible while losing as little as possible, will sit down and make a deal. Usually, this deal will be sealed with a contract (or some other form of documentation) which prevents one of the parties from breaking the deal and taking everything while giving back nothing. Sometimes though, business can be arranged with a simple handshake. The advantages of a handshake are various: it’s simple, fast and costs the deal-makers nothing. However, such an arrangement requires a massive amount of respect and trust in your business partner, as you will have no official record of what the terms of your deal were. Generally your partner will fulfill his part of the deal, but sometimes your trust can turn out to be misplaced. You could be left with a partner that doesn’t want to deliver on what he promised. As you haven’t officially confirmed the deal on paper, you will not have any grounds to sue the partner if he potentially breaks it. How Does This Translate Onto Bitcoin? Read our Trezor Wallet Review or check out other top hardware bitcoin wallets here. Some miners, exchanges and other members of the Bitcoin community are vary of these transactions. The first reason is the fear of a double spend attack. A malicious player could potentially create two zero confirmation transactions, broadcast them at the same time and have them accepted before anyone is the wiser. However, since the transaction window is too small and the costs of creating double transactions most of the time outweigh the benefits, it is unlikely that such attacks will ever happen. At a recent “Satoshi’s Vision Conference”, Tom Harding discussed Native Respend Resistance, an idea that works within Bitcoin Cash specifically to reject double spend attacks, or respends as he calls them. According to Harding, Respend Relay is the key to this, through digital wallets issuing an alert when a respend is detected. 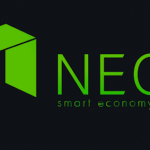 It does this by simply hesitating before confirming the transaction, when the transaction is picked up, the network will be monitored for a short amount of time to ensure no respends occur, if this is the case the payment is accepted, otherwise, it’s rejected. Harding also discusses how this idea has stemmed from a comment by Satoshi in 2010, referred to as the ‘snack machine’ comment. 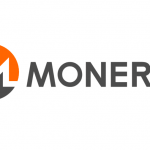 This refers to the problems that come hand in hand with fast transactions, one of which is the mentioned ability to duplicate transactions temporarily, to fool nodes into accepting respends. Harding is highlighting that there is still a risk within Bitcoin Cash, in that zero-confirmation transactions that are in limbo, can lie as potential respends. Giving more incentive to miners to prevent these transactions from making it through the blockchain does seem like the only viable solution, a statement initially proposed by Hal Finney in 2001, according to Harding’s talk. When you decide to invest in cryptocurrency, remember the rule of “Trust, but Verify”. 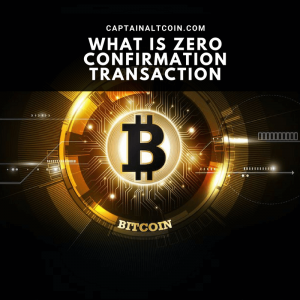 Zero confirmation transactions can be quite useful but they can cause you a lot of headache as well. Also be on the lookout for pushy crypto sellers, sellers who claim to urgently need money, and other scam tactics when buying crypto. Also keep in mind the reputation of the seller, as word tends to spread fast about these folks. The only way you can ever fully trust a seller if it’s yourself.